Electrolux held its sixth annual Supplier Awards event in Stockholm, recognizing its top suppliers for their performance. At the awards ceremony, 13 suppliers were recognized with winning prizes in three categories: Supplier Excellence, Supplier Innovation and Global Service Provider. The Supplier Excellence Award recognizes operational excellence in product development, price competitiveness, quality and the supply chain, as well as social and environmental practices. “Suppliers nominated for this award – the company explained – have demonstrated a sustainable performance record that enables Electrolux factories to produce the most competitive home appliances with the best quality”. 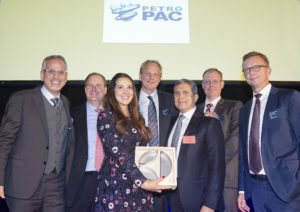 The winners are: Brascabos, Petro Pac, Diehl Controls, Jiaxipera, Dinair, Omas. The Supplier Innovation Awards recognize collaboration between Electrolux and its suppliers to develop new innovative components and features that make a difference to Group products and consumers. The winners are: OMS Besser Group, Jones Plastic & Engineering, Microsemi, KX Technologies, Murata, Talent Plastics. Finally, “the Global Service Provider Award – the company said – recognizes service providers with the highest quality of service, innovation and impact that contributes to creating outstanding consumer experiences. The suppliers nominated for this award support Electrolux to continuously improve, acts sustainably, and are actively looking for opportunities to help us drive digitalization”. The winner is Vecar. “Our suppliers are an integral part of our success – Peter Truyens, Senior Vice President Group Purchasing at Electrolux, commented -. They contribute to better consumer experiences through innovative and sustainable products. Current markets favor strong and reliable business partnerships to continually ensure competitiveness, great quality and performance. This year’s event was focused on celebrating success and further reinforcing ties with our suppliers”.